I just whipped up this cute little top using some material that caught my eye when I was at Lincraft last week. The weather is so hot and muggy here right now, this is just what I need for wearing around the house as a boobtoob with my pretty aqua blue skirt! 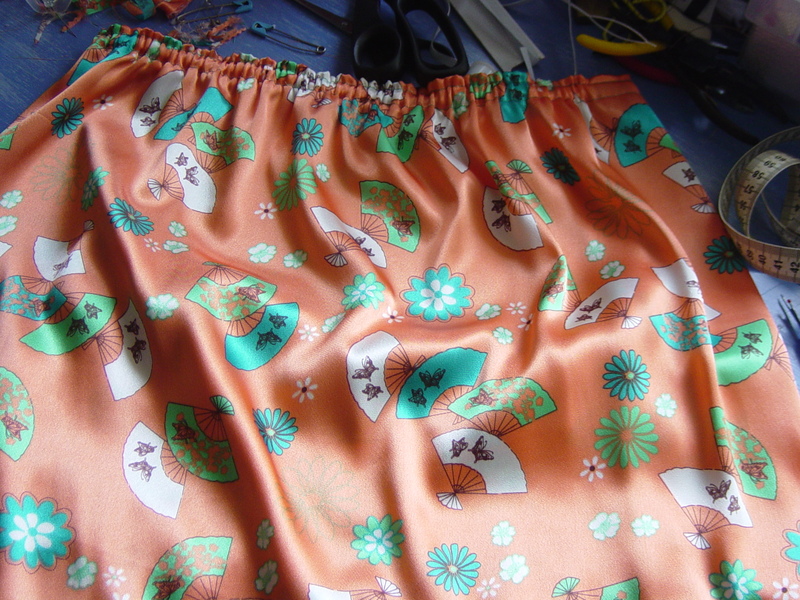 I really liked this print of Japanese fans so just got half a metre, not knowing what I would make with it, although I did think perhaps I would make a little cami. The grand total cost of this top was $4.49! I didn't have any orange thread which would have been best, but this emerald green thread worked just fine, it's good to have finally found a use for it! I don't ever remember buying green thread, it must have come to me along with some other coloured threads. I already had the elastic in my kit and that's all I needed to make this. I simply sewed up one side of the half metre fabric forming a tube. Then I made a pocket along the top to thread the elastic through. 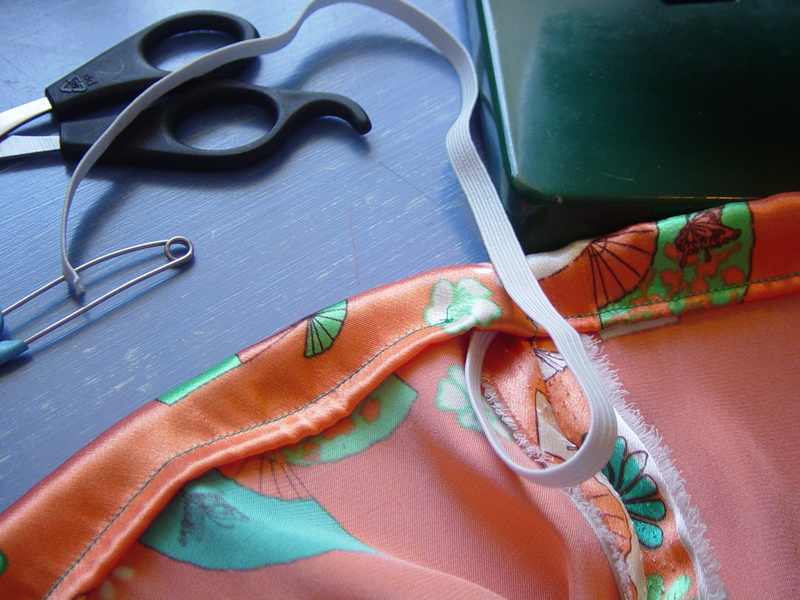 I cut 10cm off along the bottom to form straps which I've decided not to use. Then I sewed a fine hem along the bottom. This has got to be the simplest top to make. It might look it too, unless you find some really nice material like this silky look print, and at less than $4.50 its not bad. This simple tube top is fine for wearing around the house, seeing as I don't have a strapless bra because this thing is unsuitable for 'outside' unless I get one!